Are you looking for a recipe for easy taco soup? For years, I’ve made a version of healthy taco soup based on a Weight Watchers taco soup recipe I got in a meeting. This taco soup from Weight Watchers soon became a family favorite. Over time, I tweaked it to make it even easier and healthier, so that I can quickly open a few cans of beans, tomato sauce, and even pureed pumpkin – and have a quick, healthy and delicious dinner in less than an hour. I’ve healthed up the original Weight Watchers taco soup recipe by eliminating the dry ranch dressing. Have you ever read what is in those packets? Either you buy the brand name stuff, which has buttermilk – not great for us lactose intolerant people. Or you buy the generic ranch dressing which is full of MSG. I wouldn’t want that in my healthy taco soup. No thanks! I also added diced fire roasted tomatoes with green chilies (you can use Ro*tel tomatoes) to give my Easy & Healthy Taco Soup a little heat. My son always adds even more heat by adding his favorite Mexican hot sauce! If you like spicy, add your favorite hot sauce, too. 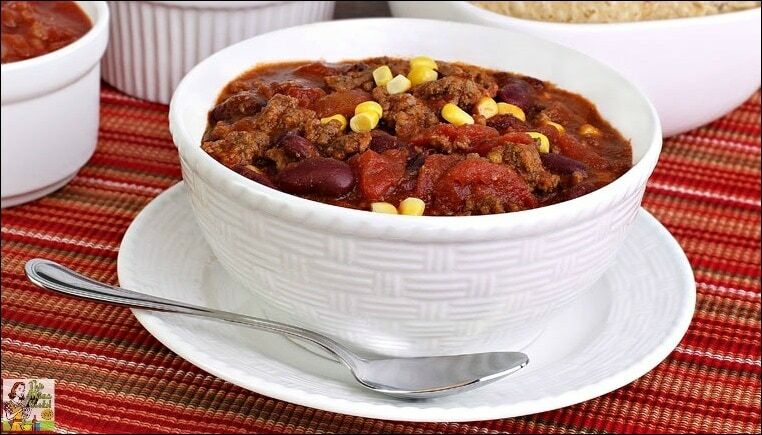 This Mama’s tips for making Easy & Healthy Taco Soup even better! This easy taco soup recipe uses ground beef. But you can use ground turkey, or venison. To make a vegetarian version use soy crumbles instead. Or leave out the “meat” altogether. The beans will give you plenty of vegetarian protein. Any type of canned beans are fine – kidney, pinto, garbanzo, black beans, or a combination. (Not baked beans though!) Just make sure to rinse them well. Add cilantro, some shredded cheese, no fat Greek yogurt, slices of avocado, and a scoop of salsa as garnish to your bowl of healthy taco soup. Yum! Double the healthy taco soup recipe and freeze half for later. However, you’ll need a very large stock pot to cook it in! 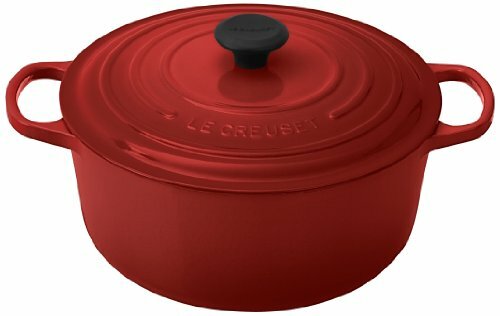 I already cook this in a 7 1/4 quart Le Creuset Dutch Oven. Easy & Healthy Taco Soup is a terrific dish to make for a large group to bring to potluck parties. 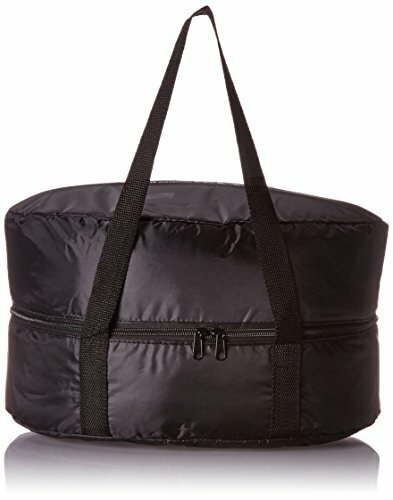 I put my healthy taco soup in a Cook N Carry Crock-Pot and take it an insulated travel bag. Works great! 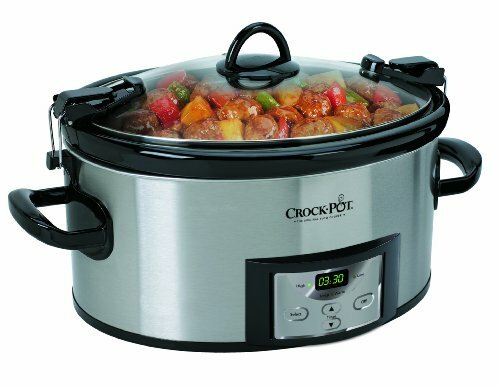 You can also make crock pot taco soup in a large 6-Quart Crock Pot. Brown the ground meat and onion in a large skillet and then transfer it and add the rest of the ingredients to your slow cooker. Cook for 8 hours and serve. 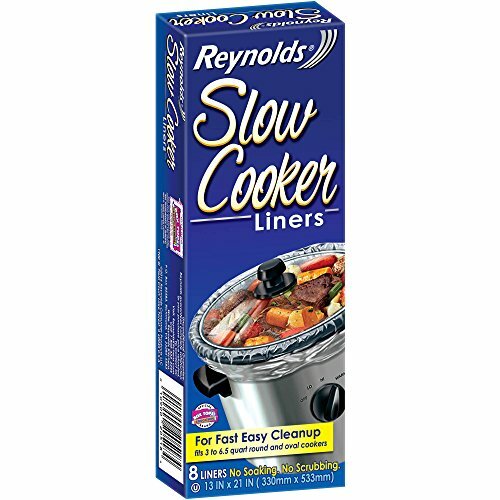 Use slow cooker liners for easy cleanup. Stock up on pumpkin puree during Thanksgiving when it’s on sale to use during the year in this healthy taco soup recipe! Add extra frozen vegetables to this healthy taco soup recipe to make it even more nutritious! No need to thaw the frozen vegetables either. Just add the frozen vegetables to the pot. I recommend frozen pepper strips. Most taco seasoning mixes are naturally gluten free, but some do contain whey so are NOT dairy free. If you want to avoid whey – and save some money, too – make your own homemade taco seasoning by trying my easy homemade taco seasoning recipe! Brown ground meat with one large diced onion in a large stew pot. Add rest of ingredients. Heat to boiling. Lower heat and simmer for 30 minutes. Serve. Originally published on January 9, 2010. Updated with new pictures. Posted in Crock Pot and Slow Cooker, Gluten Free, Recipes, Soups and tagged ground meat on February 12, 2016 by Anne-Marie Nichols. How many calories does 1 cup have? I don’t give out calorie counts since I don’t work with a nutritionist. The only time I do is with my contributor, Holly Clegg’s, recipes, since she does work with a nutritionist. Instead, you can run it through an online recipe nutrition calculator. SparkRecipes has a good one at link to recipes.sparkpeople.com. Hi–do you happen to know what the PointsPlus value is for a serving of this soup? Thanks!! Debra, I don’t have the PlusPoints value. Maybe ask your Weight Watchers leader. They’re usually very familiar with the recipe. I make a similar soup and put white hominy in place of the corn. It’s delicious!